A complete raised latrine is used where it is not possible or appropriate to dig a simple pit (i.e. on rocky ground, in a flooded area, in an urban environment etc). 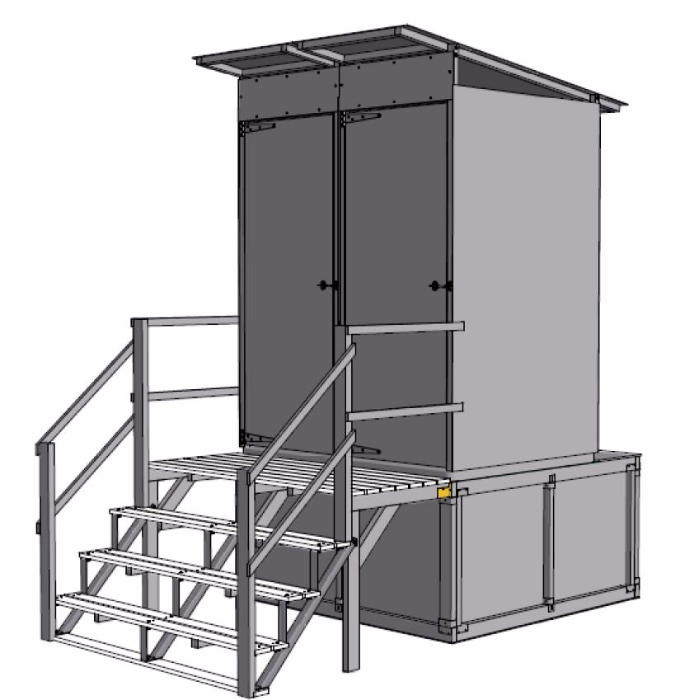 The kit comprises of a holding tank, latrine slabs, superstructure and steps equipped with a hand/guard rail to access the latrine. The tank has access provision for emptying/desludging without dismantling the superstructure. Note: To give best economy in packaging and transport this kit contains six (x6) complete, double latrine units. 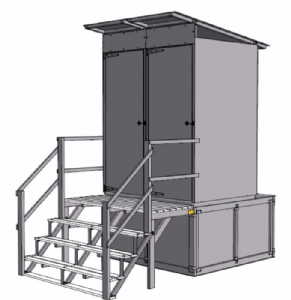 The use of raised latrines requires a strategy for emptying and excreta disposal. Personnel and equipment will be required for desludging and a location to off load the slurry is essential. Doors self closing and lockable from the inside.